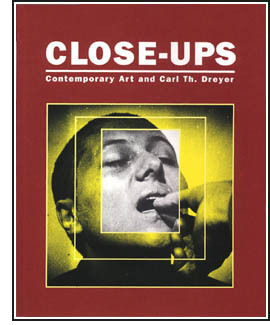 “In his new book on Dreyer, as in his earlier Cassavetes and Capra studies, Carney shows himself to be an auteur in the cinematic sense – that is, a thinker whose preoccupations and concerns show a telling similarity even when different subjects are under investigation." 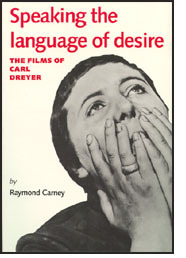 “In each of his books, Carney examines formal and thematic ideas, as any thorough film explicator must. But he insists on the primacy of human values, and spends most of his energy showing how such values are expressed and illuminated by the filmmakers in question. “His study of Dreyer rejects the formalistic and symbolic approaches that David Bordwell and other scholars have taken, suggesting that Dreyer’s technical and metaphoric strategies are of limited importance if one separates them from the filmmaker’s overriding interest: the struggle between individual freedom and spirituality, on the one hand, and the repressions of social structures and psychological habits, on the other. This book is available through Amazon, Barnes and Noble, your local bookseller, or, for a limited time, directly from the author (in discounted and specially autographed editions).